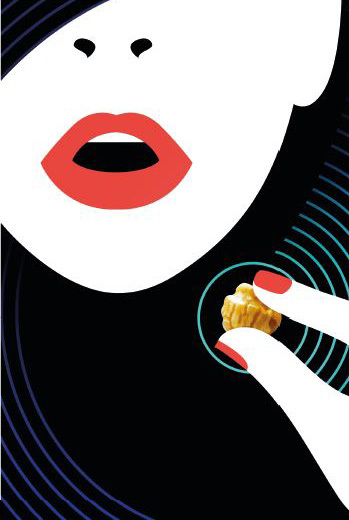 WHY JOIN OUR TASTING CLUB? 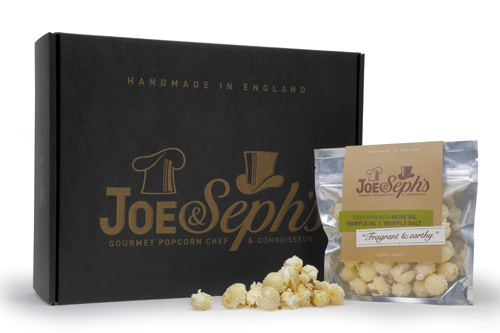 Never run out of popcorn again, with the Joe & Seph's Gourmet Popcorn Subscription Service! 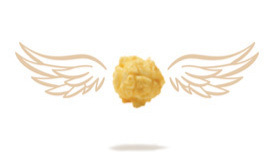 Sign up to receive 8 flavours of award-winning, gourmet popcorn every month, as well as trying some of our newest popcorn flavours before anybody else! Plus, with our featured box, the Samsung Movie Lounge, you'll receive the latest 4K Ultra UHD Movie release, for the ultimate night in! All boxes are also available as 3, 6 or 12-month gift subscriptions. Prices start from only £16.00 p/mo and include FREE DELIVERY to the UK. Get ready for epic movies and delicious gourmet popcorn. Welcome to Samsung Movie Lounge - the ultimate home cinema night in! Hopefully your sofa is primed, plumped and ready, because you're about to be spending a lot more time on it! In this box you'll receive the latest 4K Ultra UHD Movie, plus 8 wonderful flavours of popcorn, including Samsung exclusive flavour, Cookies & Cream - for only £30.00 per month. 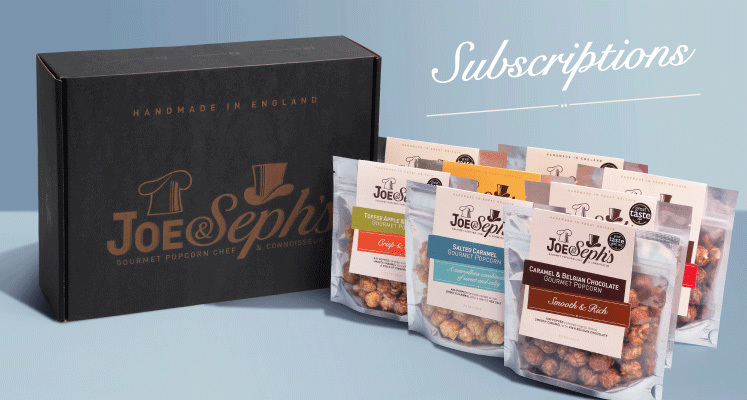 Step 1: Choose your preferred subscription box below, out of the Joe & Seph's Tasting Club, or our Featured Subscription Box. 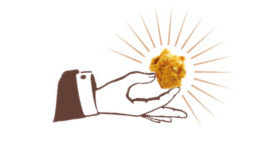 Step 2: Then hit 'Buy for Yourself' or 'Buy as a Gift' before reviewing your final order. 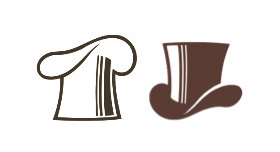 What is the difference between the Joe & Seph's Tasting Club & Samsung Movie Lounge? 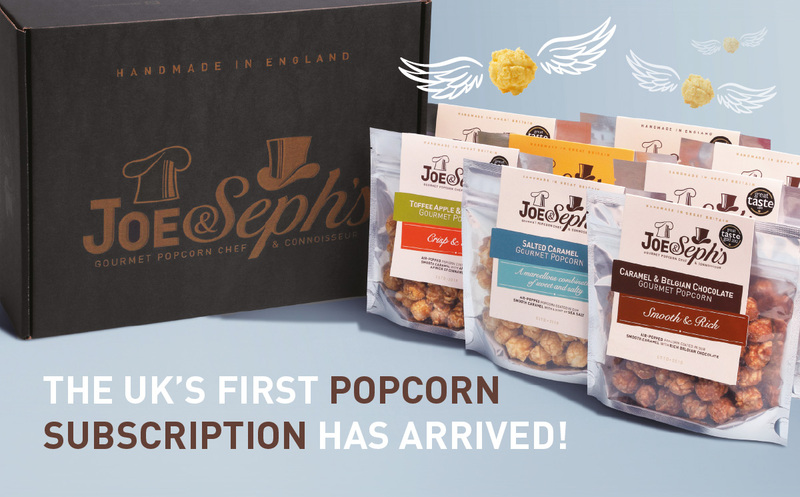 With both boxes you will receive a monthly subscription containing 8 packs (16g - 32g) of delicious award-winning popcorn, delivered straight to your door. 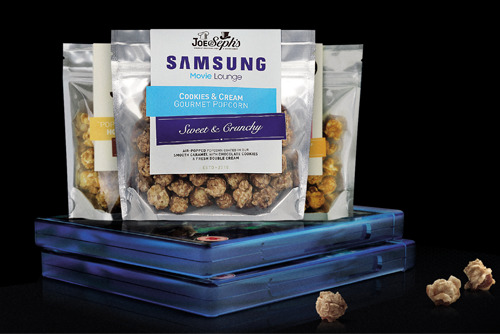 In addition, Samsung Movie Lounge subscribers will receive the exclusive Samsung flavour Cookies & Cream as part of their 8 packs each month, as well as the latest 4K Ultra UHD Movie release. You can purchase a Gift Subscription for either 3 months, 6 months or 12 months. To do so, please click 'Buy As Gift' after you have chosen your box type, and follow the steps to checkout. All Gift Subscriptions are sent electronically in the form of an eVoucher which can either be emailed directly to the recipient, or to you (to forward to the recipient). The email voucher will have a link to a landing page, with redemption details. Once the voucher has been redeemed, we will dispatch subscriptions within 4 working days. We are currently unable to postpone delivery, however gift codes are valid for up to 12 months from purchase. What size are the subscription boxes? Our boxes are a little bigger than standard letter boxes so would need someone around to receive it. If no one will be home, we suggest sending these to your work address instead. How are subscriptions sent out? We send all UK subscriptions out on a weekday via Royal Mail 48, and those to the ROI via Royal Mail's International Parcel service. Can I buy a yearly subscription for myself? We currently offer a rolling Subscription service as standard when you purchase a subscription for yourself, however you can purchase 12 months upfront, by selecting 'Buy As Gift' before checkout. We do not charge additional postage or packaging for all our UK subscriptions, however subscriptions shipped to the ROI will be sent at an additional cost of £6.00 for P&P. How much is a subscription box? Our boxes start at £16.00 a month for the Joe & Seph's Tasting Club, and £30.00 a month for the Samsung Movie Lounge. Gift Subscription prices vary depending on the package chosen, and start at £48.00 for a 3 month subscription. If you've bought a rolling subscription, payment will be taken on the same day every month, until you cancel your subscription. Currently we can only send out subscriptions to the UK and ROI, however we will be introducing more locations soon. Your first box will be despatched within 4 working days of placing your initial order. Consecutive boxes will be sent approximately every 30 days. All Subscription boxes will be despatched and delivered on a weekday. How can I change the subscription's delivery address? You can easily manage and update your details by logging into your Account Dashboard and changing your settings.